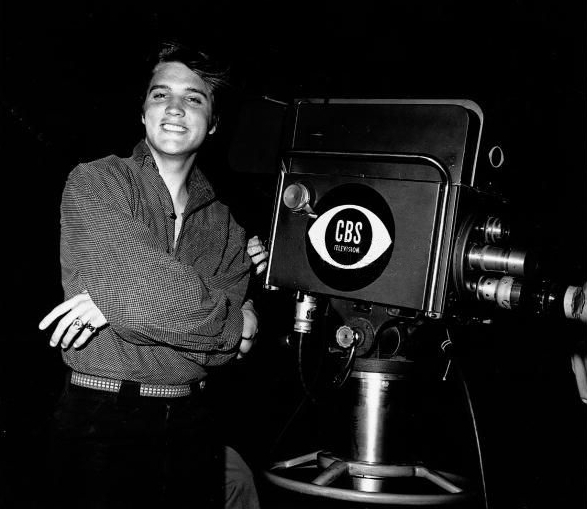 On September 9, 1956, Elvis guested on The Ed Sullivan Show for the first time. No less than 64 Million Americans watched him that night. 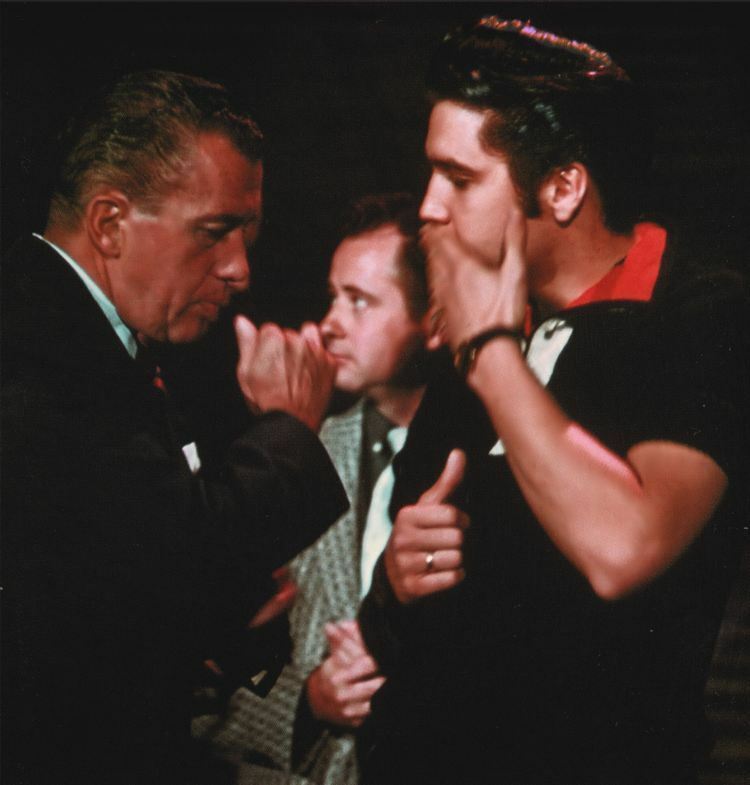 The Milton Berle and Steve Allen shows had caused a whole lot of commotion back then, but nothing could compare to the 3 Sullivan show appearances. 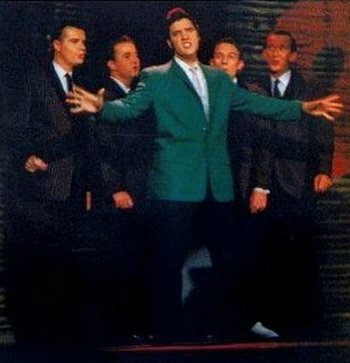 From September 1956 onwards, America knew exactly who this kid from Memphis was. Record sales boomed like never before. With Hound Dog / Don’t Be Cruel outselling Hearbreak Hotel 2 to 1. Elvis merchandise hit the streets of every American town in the late fall of that glorious year. The money came in by the ship load and Elvis was crowned King. 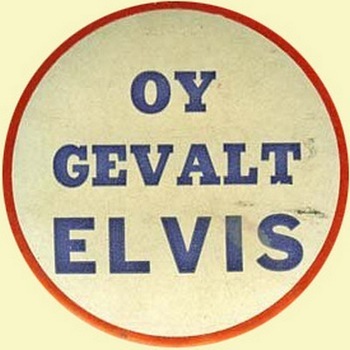 A ticket for Elvis’ second Sullivan appearance. 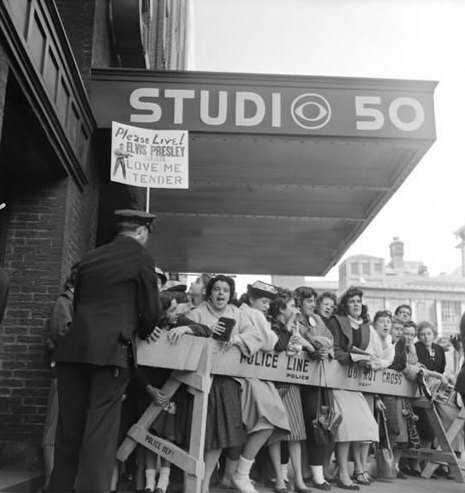 Fans line up outside Studio 50. By 1964 things had changed a lot. 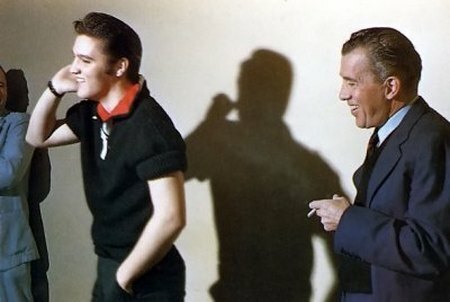 Elvis had stopped making live appearances after 1961, and was instead making 3 movies a year and recording one soundtrack-album after another. 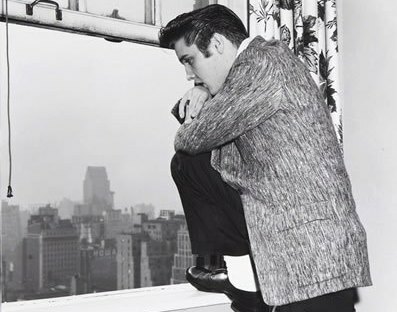 The King had become a Saturday matinee Idol, pumping out Hollywood ‘quickies’ faster than one can fry a double cheeseburger, slowely dozing off into his own created little fantasy world. 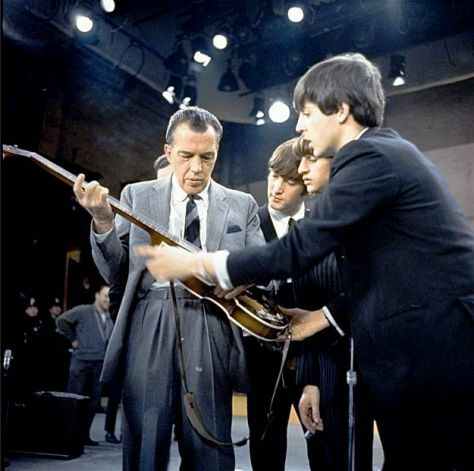 On February 9, 1964, four young lads from Liverpool made their American television debut … on the Ed Sullivan show! 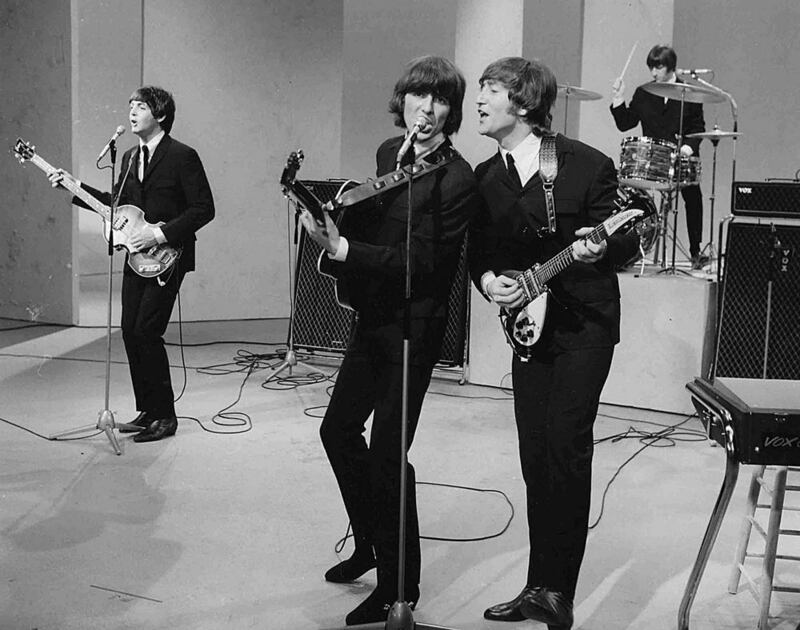 On the first night, of 3 consecutive Sunday nights that February, The Beatles broke all viewers records. A short while later, their hit singles took the first 5 positions in the US hot 100. 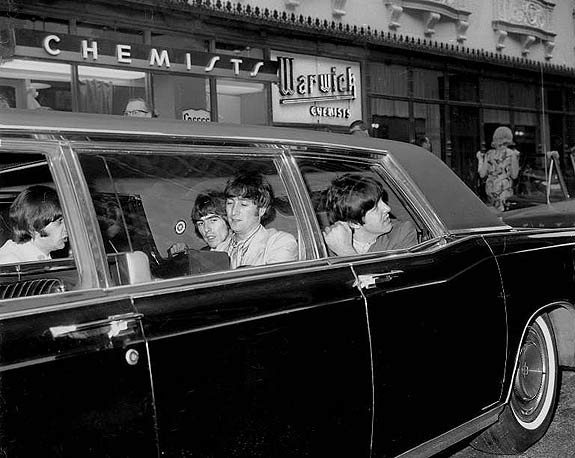 Beatles-mania had started with a bang in America. 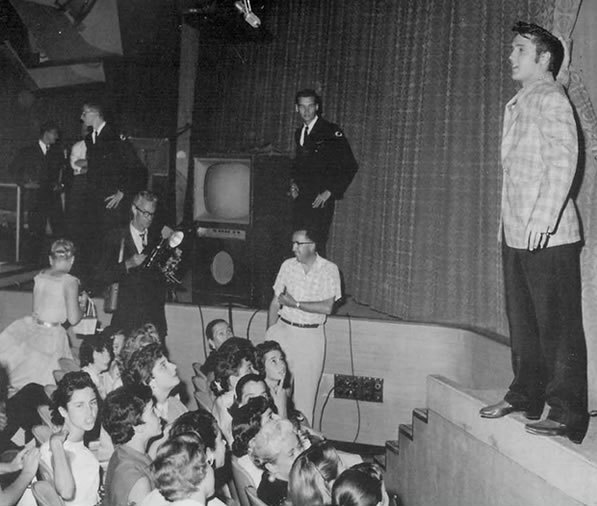 It would take Elvis another 5 years before he could reclaim his crown. A VIP-ticket for The Beatles’ first Sullivan show. 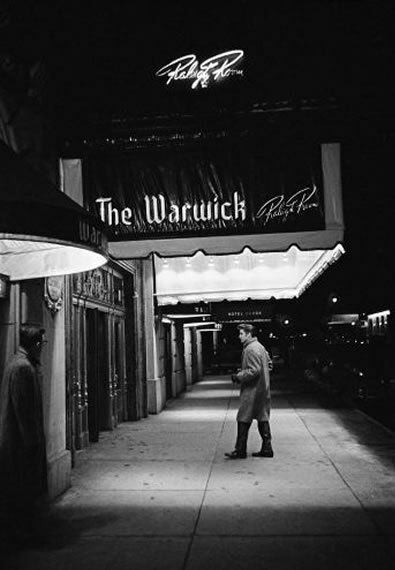 The Beatles on the marquee of Studio 50. 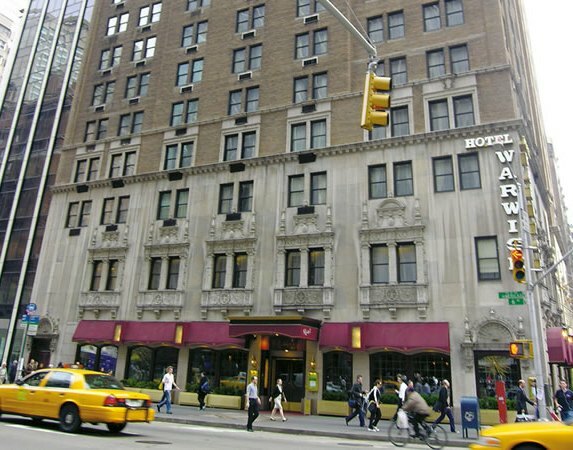 While in New York, both Elvis and The Beatles would stay at the Warwick Hotel. 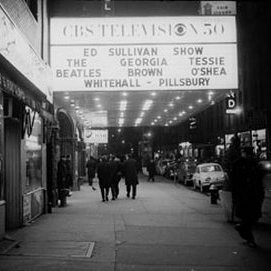 It was in walking distance of CBS Studio 50, where the Sullivan shows were recorded. 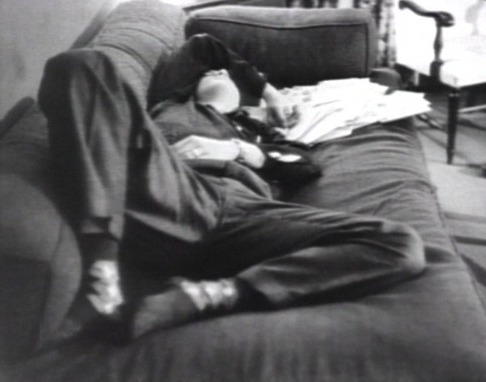 Ed could claim his show was the only show that has had both Elvis and The Beatles on the guestlist. And that’s a fact. 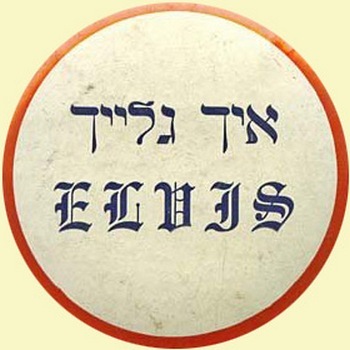 As part of the massive flood of merchandise in 1956, these pins were produced to accommodate the jewish fans in New York city. 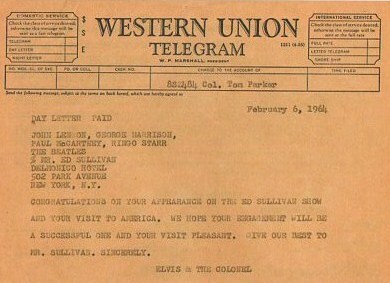 The Colonel and Elvis sent the Fab Four a telegram when they first appeared on The Ed Sullivan Show. Mr. Ed: “Something very nice happened and The Beatles got a great kick out of it. Just received a wire, they did, from Elvis Presley and Colonel Tom Parker wishing them a tremendous success in our country“. To the left a short but interesting article from Melody Maker (July 18, 1964). And to the right two photos (both from 1964) that, when closer inspected, actually tells us a bit about how both acts regarded one another. 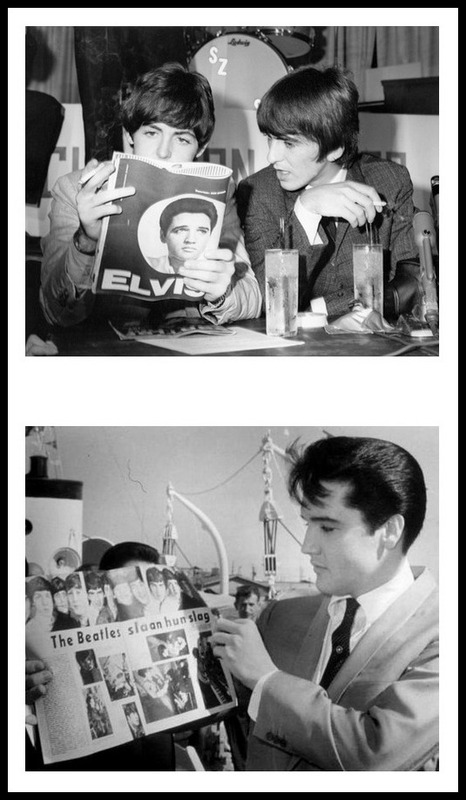 Paul seems genuinely interested, while Elvis is just holding up that magazine (for the Dutch journalist who handed him the mag) without taking notice of what is really going on in showbiz-land. Fab memories. I only recall Elvis’ 3rd appearance on the show in 1957, but did watch all the Beatles appearances, and being a teen in the NYC area, it was a time and vibe never to be repeated again. Ha! I knew I could count on you for a comment on this topic! it’s very much appreciated you chipping in on this topic! My pleasure. I enjoy this stuff very much!! on stage here. However they played the city of The Hague at the time. to travel to a place outside of Amsterdam. Not at the sweet age of 12.
it ’till the next day, on the 8 o’clock tv news broadcast. distance from my parents place. I like these Elvis & Beatles topics. The 5 kings of popular music. Thanks! Ger. I did not make it to Shea to see The Beatles. I lived in New Jersey, and having strict parents , they would not allow me to take the train into Queens and see the show. My friend, however did go, and actually was sitting near the girl you see clutching the netting in that familiar footage. He said it was unlike anything he ever saw before or since. He was one of the 10 people I went with to see Elvis at MSG June 10th, 1972 evening. Had totally forgotten about this topic! Damn, we were a great team Bob! 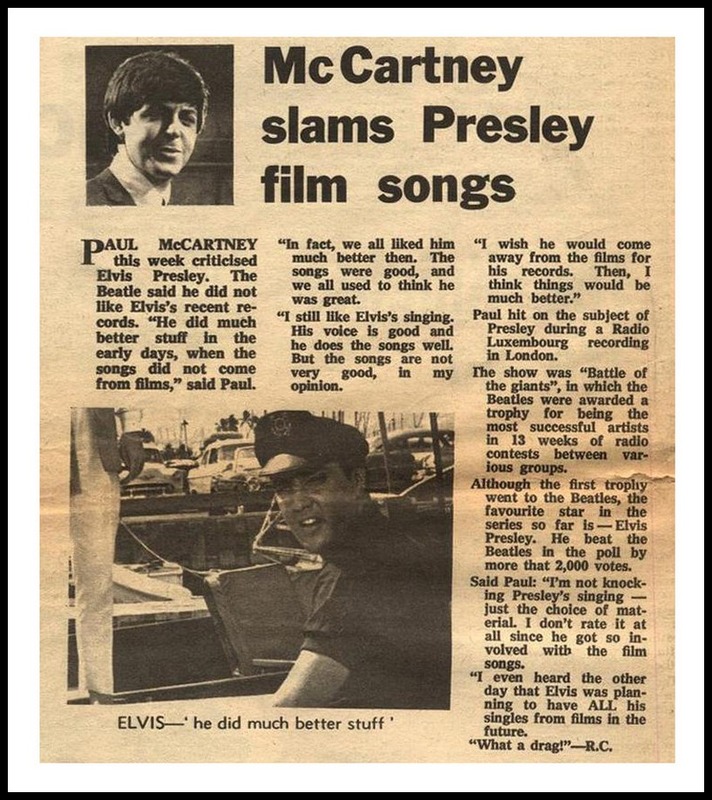 Nice addition, the McCartney piece from Melody Maker. How right he was!